Are you still confused as to what the best black hair dye product is to achieve those gorgeous black tresses? Or are you still not sure what to look for? 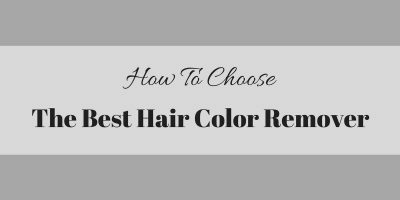 Deciding on the best permanent jet black hair dye that’s suitable for you includes a lot of factors to consider. Some may consider how easy to use the product is, the stuff they’ve put in the product, and how long will it last on your hair. L’Oreal Paris Excellence Crème - Having Pro-Keratin, Ceramide, and Collagen makes this product as a great choice if you are concerned about the fullness and strength of your hair. This can also be a great product to choose for those who want to kiss those greys goodbye. Vidal Sassoon Salonist Hair Colour - If you’re looking for color to stay in your hair, you can check this product out. It can maintain color quality for up to 8 weeks. It gives you a 2-step salon technique on how to color your hair, which is a nice bonus. Clairol Nice ‘n Easy Hair Color - This features their Color Blend Technology which is good for tones and highlights. It comes in 3 different shades of black: Soft Black, Natural Black, and Natural Blue Black. Each shade can closely imitate the tones that are found in natural, uncolored hair. The kit includes 3 individual packs of the same color. Bigen Permanent Powder Hair Color - Being a deposit-only color, this product does not need any kind of lifting or lightening to darken the hair. That means less hair damage. For someone who has deep concerns when it comes to the damages that color treatments can bring, this is a great choice. Schwarzkopf Color Ultim﻿﻿e - If you want to add more volume to your hair, then this product can be the right one. It also prevents up to 80% hair breakage. With Skin Tone Matching reflexes, this product can easily complement your complexion. What we really liked about this hair dye kit are the pre-conditioner and the final conditioner that came with the kit. After the entire process, it makes hair definitely looking shinier and softer. Well, even after a couple of weeks from applying the treatment, the color still has not faded. Though it is not that noticeable, there could be some changes on the tone but you don’t have to worry about going back to your natural color. True to their word that it would make hair strong and moisturized after, we didn’t see dryness and frizz on the hair. Also, it did cover up residual color from the last treatment, and those unwanted greys. This is great if you are looking for that even tone all throughout. Still, it could have been better if it didn’t come with a strong odor. Despite shampooing daily, the color did not wash out. Even after shampooing right after the application, the color still held on. Color doesn’t wash out easily right after application. Matching natural black hair can be difficult but this product might help your hair have more depth. Let’s start out with the grey coverage, which is great, as it seemed like it has added highlights at the same time. Some of the greys may lighten after some time but the color doesn’t completely go away and few might actually notice. For me, starting with the roots and adding to the lengths after is a cleaner way to go. However, it would still be great if you choose to follow the 2-step instruction in the package, especially if you’re someone who is more comfortable with following instructions. The instructions tell you exactly what to do and that would help keep the same color quality for up to 8 weeks. 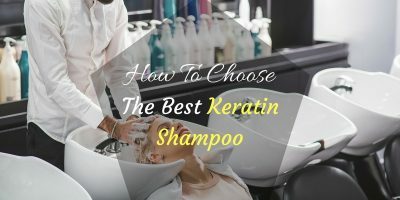 Unlike most hair dye kits, it instructs you to wash your hair right after and it really helps a lot with the smell of lingering chemicals (not that it has a strong odor in the first place). We didn’t notice any kind of irritation after application, which is good for people who have sensitive scalps. But don’t even dare to use it to color your lashes since it might cause serious damage to your eyes. It’s not the usual box dye — there’s plenty to use and however time-consuming the process may be, the color turned out great on the long strands, but might leave your hair dry and frizzy. Having 3 individually packed hair dyes of the same color is great, as this can be really handy for storing or for sharing with your friends and family. After testing the product, it came out with a natural-looking color that most women would really appreciate. In addition to that, it included some beautiful lowlights and highlights, all thanks to their multi-toned color. However, the results that we had were not really intentional. With behavior like this, this product could bring a disastrous outcome if you’re out of luck. One of the consistencies of this product is that it greatly covers residual colors from your previous treatments and that’s great news for someone who likes to change from bright to black. When using this, you might want to be careful where you wash your hair. The dye might bleed out and stain your sink, but make sure to wash it out as soon as possible because it can quickly irritate your scalp. The color might also completely fade within 4 weeks. What we liked best about this product is the fact that it doesn’t contain ammonia or metallic ingredients and it doesn’t require hydrogen peroxide for it to work. Using it is as easy as adding water, literally, but could be a bit messy. Having none of these chemicals, Bigen Permanent Powder Hair Color does not have any strong odors. This is best for people who easily get dizzy from whiffing chemicals. Since there is no need for hydrogen peroxide, it causes less damage to the hair compared to other products. It might still cause dryness after the application, though. With careful use and maintenance, you can enjoy that natural-looking color up to 6 weeks. If you’re planning to lift your hair color, this product is not meant to do that because it is only a deposit-only hair dye. It cannot lighten the color or pigmentation of your hair. After trying this product out, we noticed that it gave the skin a healthy glow. Maybe it’s because of what Schwarzkopf put into this hair dye that they call Skin Flattering Pigments. This hair dye is being promoted as suited for aging hair; however, roughly around two weeks after the application, grey hair has started popping out. Also, the color was bleeding every time it’s washed and stained some clothes and towels. Though the color didn’t stay on that long, about 3 weeks, it left hair feeling silky smooth and hair smelled great with the conditioner that came with the kit. This hair dye also has low odor, so we didn’t have to prop our windows open. It contributed to the great coloring experience that we had. The total time of the treatment took about 30 minutes, and with that short span of time the results were satisfactory. The grey areas were covered and it enriched hair volume, which were what we hoped for. The kit came with a pre-treatment conditioner that you need to put on the ends of your hair, as instructed, and kept those damaged parts moisturized. It’s a great choice for those with worn-out hair from frequent color treatments. It just needs 30 minutes to get that color you want. The color bleeds out such that it stains towels and other garments. Grey hair popped up after around two weeks. We suggest that you try to condition your hair first before getting busy with coloring. You could apply a deep conditioning treatment two days earlier. Conditioning can moisturize the strands of your hair, especially the damaged ones, which could help absorb the color more and keep it there longer. You can also wash your hair the night before coloring it, not on the day itself. This is to try to avoid any scratches from your nails that can help save you from irritation. HOW MUCH DYE WOULD YOU GET? We don’t like wasting hair dyes, not even a drop, but we also don’t want to spread it too thin. So it’s important to consider how much dye you get from the bottle, especially if you’re the type that likes saving some of it, or a lot, for future use or sharing it with some of your friends. Well, there are actually different shades of black. Some are darker than the others and some may have a different hue. From natural black to violet black, you can choose the best shade you like on your hair. Think of how black you want your hair to be. Getting ready to dye your hair also includes preparing your tools. You might want to check the included items in the kit so you would know what else you need, especially if you don’t have much stuff to use at home. Depending on what you are focusing on, you can choose the best black hair dye by what they are made of. Some would focus on just the color quality, and some products would give emphasis on the condition of your hair. Also, it has been said that most hair dyes contain some chemicals that are bad for you. Always check the label to know the ingredients of the product and see if there are harmful chemicals listed. It’s always a good idea to be safe. We want to save ourselves from the hassle and cost of going to the salon to have our hair fixed, but we also don’t want to get tired of coloring hair. Some of us just like to step out of our homes already sporting newly colored hair. You should always remember that we color for the fun of it and not to punish ourselves. We highly advise that you take this into consideration. Now that we have finished going through the pros and cons, it’s time to choose the best permanent jet black hair dye among them. It was tough to pick which was the best since each has its own beauty bonus. After considering different factors of the five hair dyes that we picked to review, we’ve decided to go to Vidal Sassoon Salonist as the best black hair dye. We are not saying that the other four hair dyes are not good; we just had to pick the best one and for us, that was it. One of the things we first considered was if there is any kind of irritation, and V﻿﻿idal ﻿﻿Sassoon gave us security in this category. It wouldn’t really make sense if you have to suffer any kind of irritation that might lead to more serious damage, just to make your hair look good. Some of the hair dyes are better in some aspects compared to Vidal Sassoon Salonist, but we’ve considered remedies on the shortcomings of all of the products we mentioned. And in the end, the one that came out with less flaws and was easier to remedy is Vidal Sassoon Salonist. The main deciding factor is the long-lasting color quality that only Vidal Sassoon can offer — 8 weeks is some serious time. We know that it might cause dryness and frizz in the end, but since we can remedy that with a continuous dose of shampoo and conditioner, we can still have that smoothness we all want for our hair. Some might offer less odor compared to Vidal Sassoon, but that can be fixed with good ventilation in the area where you will perform the application. It’s not like we’ve never experienced that stinging odor from other hair products. We also mentioned that the process of applying this product may take time, but with continuous practice, on your hair or someone else's, you can definitely overcome that. Also, you can color like a pro if you get the hang of their two-step process, which is great for aspiring home-coloring experts. If you could try these products out, perhaps we would agree on our pick, but of course, you should always choose the best permanent jet black hair dye that would really suit your needs.